Vintage industrial locker basket, salvaged from an old water park -- perfect for storing anything from cleaning products to studio supplies. Complete with number tag. Listing is for one basket chosen at random -- multiple baskets available. 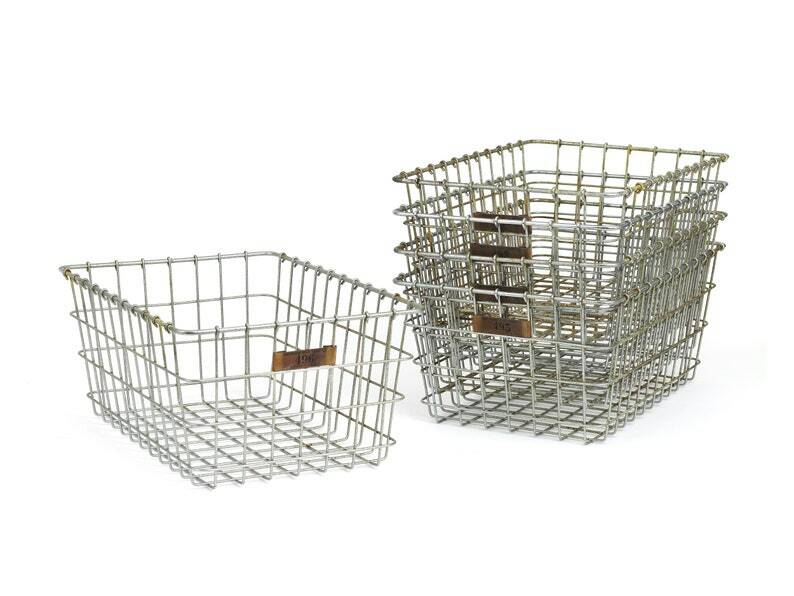 Baskets show wear and tear from age, including some corrosion and bends. Dimensions: 16" x 10.75" x 7"
Vintage New Old Stock Movie Film Reel Shipping Case Box - 15" x 15" x 1.5"